These standard references on Queensland geology are a vital tool for all geoscientists, exploration professionals, researchers, teachers and students of the physical world. They can be purchased in hard copy or DVD, singly or as a pack. 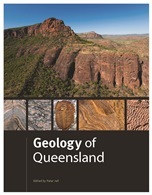 See the Geology of Queensland order form (PDF, 1.5MB) for pricing and ordering information. 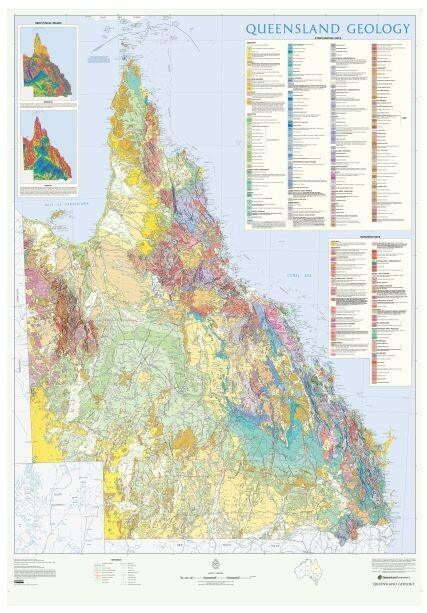 The 'Queensland Geology 1:2,000,000 scale map and structural framework 2012' is supplied either flat or folded. The map and framework can be joined or used as standalone products. Contact us for information on postal delivery costs. Refer to the Geology of Queensland order form for GST free prices.